You Won’t Find This Kids Show Getting A Bad Rap! Need something to entertain the kids this weekend? Then get down to Friends For All at the Half Moon in Limehouse for a rap performance the little ones will love! 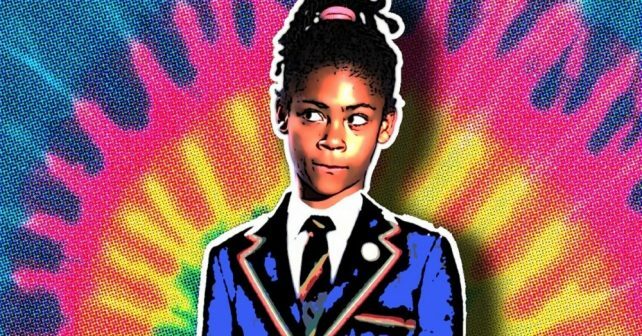 Poet and rapper Simon Mole tells the story of 8-year-old Lexi who doesn’t make friends as easily as some of her classmates. Inspired by her grandpa’s hippy stories from the swinging 1960s, she decides to take on the powers that be, namely her class teacher Mr Marsh and the class bully, Suzy. The show is an interactive spoken word performance for adults and children. As well as the rapping and dancing, there’ll be snazzy video projections to enjoy too. The funny and and moving piece is commissioned by the V&A as part of the Family Art Fun Programme.